Aloka Foundation initiated the first ever round-the-clock chanting of the Karaniya Metta Sutta and other mantras for world peace, harmony and stability on 31 December 2011 at SJK (C) Sungai Way, Petaling Jaya. The following year, 24hr Metta was jointly organised with the Buddhist Missionary Society Malaysia (BMSM) and since then the annual 24hr Metta has been held at BMSM’s Samadhi Maha Vihara in Shah Alam, Selangor. The 7th edition of 24hr Metta was held on 29 and 30 December 2017. 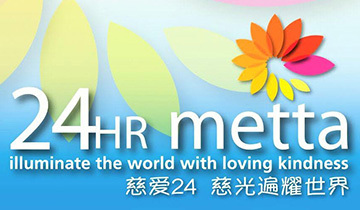 The first 24hr Metta event on 31 Dec 2011 right through to 1 January 2012 was the precursor for Metta Round The World, a global initiative for all peace loving people to connect with one heart, one mind in prayer and meditation for world peace, harmony and stability. Since its launch on 1 January 2012, there has been a ground swell of participation individually and collectively through an array of concerted activities. Initially, it called upon like-minded people, rallied through the Internet, in the practice of metta meditation for just 15 minutes on full moon days. This led to daily practice also for 15 minutes during Vesak month of May 2012 and it culminated to One World, One Time, One Metta at the specific time of 1.00 GMT (9.00 am Singapore/ Malaysia time) when metta participants collectively meditated from where ever they were at the same time. For the last two years, One World, One Time, One Metta was held in conjunction with 24hr Metta in which groups around the world meditated at 8pm their local time. This effectively resulted in metta meditation round the world in different time zones. The growing momentum of participation in this global meditation on compassionate love spurred a new phase initiated with the formation of Metta Round The World Country Chapters to facilitate greater participation and growth in the global collective healing force. 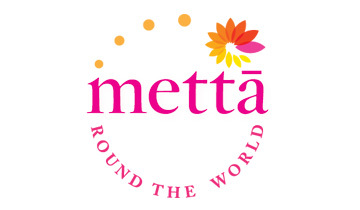 Metta Round The World Singapore. Australia and Sri Lanka Chapters have been formed and this development also saw the Metta Round the World initiative taken to another level with the Metta Convention 2013 convened in Singapore on 29-30 June 2013. Bhante Mahinda initiated these international conventions to bring people from around the world for a meeting of minds to promote metta for world peace, harmony and stability. 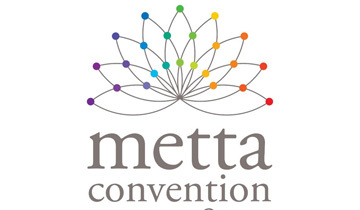 In the first Metta Convention the theme adopted was “Meeting of Hearts”. Sri Lanka, which had then emerged from protracted war, was picked as the host for the 2nd Metta Convention and the theme was “Healing of Hearts. Following that, Metta Convention went to Australia in 2016 and it was “Connecting of Hearts” as well as connecting with spirituality in Uluru, the heartland of the aborigines. The first three Metta Conventions set the foundation for Opening of Hearts, which is the theme for 4th which will be held in Malaysia from 16-18 November 2018. It set the stage for metta to be the binding force for stronger inter-faith understanding and harmony among the diverse religious faiths practised in Malaysia and also greater intra-faith collaboration among the various Buddhist traditions.